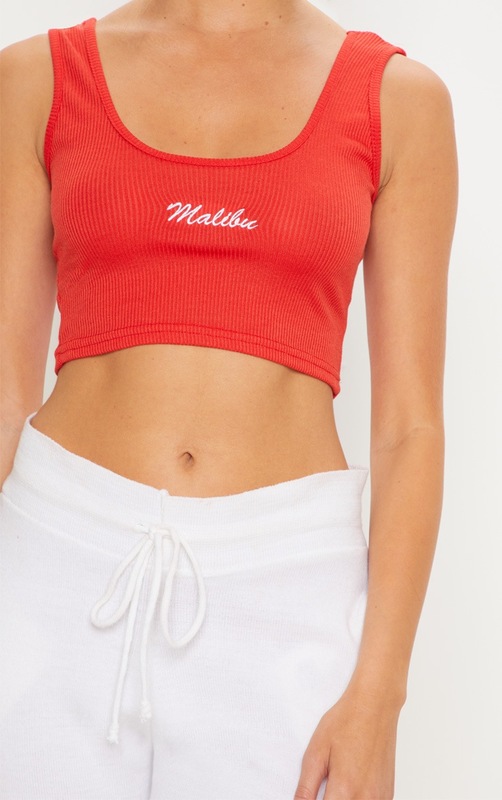 We are malibu dreaming over this vest crop top. 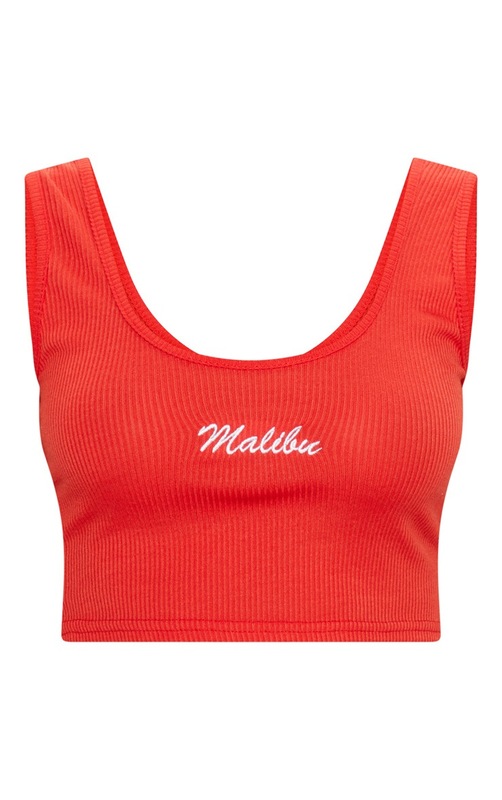 Featuring a red ribbed material with a 'Malibu' stitched on the front and scoop neckline. Dress it down with a pair of joggers and some chunky trainers for the ultimate off-duty outfit.